You have used all your inner capabilities in your projects and pleasing your boss, but when you ultimately receive your performance review feedback, it gives you a terrible jerk you notice a couple of negative remarks, alleging bad or not up-to-the-mark performance. The negative report means either you have all the chance of losing your reward, bonus, promotion or get fired. In this situation, it is natural for you to get panicked and gravely sink into remorse. But this is not something that should make you fall into depression as it is only a bad performance review feedback and a signal for you to act and start thinking overall again about your standing, skills, and performance. Negative performance review feedback is always contrary to the thoughts that we make about ourselves and what we feel about. There is always a difference between what we think about our work and what others perceive about us. These reality checks are merely a realization about where we are and where we are standing. As no one player can make all the bad performance review system in a match and so are the bad performance review feedback for employees who cannot be the robots who are programmed to make no mistakes. Human beings have their own share of limitations and weakness. They have to conform to their fears and do not allow any negative review to jeopardize their dreams. In the situation of negative remarks, they should display their mental and emotional strength and take all the negatives in a positive stride. Here are few steps suggested by the experts if you take can turn the phase of the evaluation report. Without getting into remorse read the report very carefully and find out whether the report has been created out of any personal enmity or it is professional. There can be some personal grudges with your boss on some issues that had landed in a bad performance review. In such a case, there is nothing much you can do except for fixing a meeting with your boss over a coffee table and discuss with him about the issues. If nothing concrete comes out then gracefully leave by placing your resignation letter on your boss’s mailbox or on the table. You know you have the capability in you to easily get a better job in some other company. On the contrary, if the remarks or report is genuine, it is something that needs to be worked upon or taken seriously. So start working on it, make an analysis of your performance, and fix the appointment with your boss and discuss with him about why and where things have gone wrong. Try to convince him that you are worried about the negative report and sincerely want to work on it. Begin by understanding what your company/manager wants and try to comprehend the requirements. It is right to confess something in which you are lacking. Convince your boss that will work on all the possibilities and you would like to do things differently. It is very hard to keep restraint on emotional outburst at this stage, but it is sensible to keep calm and so that you can focus on the requisite tasks and things you have been hearing about. If you show your anger, the boss would definitely think you are not interested in taking performance review feedback and he won’t be able to help you overcome your shortcomings. Keeping cool and calm is a professional way to handle difficult feedback and to find ways to resolve the same. No doubt many managers or boss does not give regular performance review feedback because of the lack of time or merely because giving performance review feedback is not in their nature. In the evaluation report then it is natural that you might find a statement which you may not have heard of before. So instead of showing your aggression, be polite and show that you are seriously concerned about these issues and would surely work on the same. You commit to consider these negative points and see to it that you and your boss have landed on the same track. Never refuse to sign on the evaluation report assuming that you would be saved from the negative results and the material written on it and there would be no more evaluation process. But by declining to sign, means you are going against the rules of the company and it would be considered as a mark of hostility and an adversarial move. It could also cause disrespect and harm to your reputation. However, if you disagree with any material or parts of material in the report, you can add a note stating that you are signing it as an acknowledgment of the receipt of the report. Quite often while analyzing the report we miss those blind spots which we are unable to guess but others can perceive quickly. There is always a gap between what we can see or find out and what others see or find about us. We need people to help us to find what more we are capable of, point out our weaker points, where we are lacking and where we require improvements. You might find comfort in the laps of your friend but try to find people who are ready to criticize you, as though their criticism you could perceive all your shortcomings and you can immediately then start working on them. Try to get performance review feedback from your colleagues too as their feedback would prove to be more beneficial for you and help you get on the self-improvement path and realize your potentialities. Quite often it is seen your boss sets up a formal performance improvement plan for their employee so that they can work on as destined. But as an efficient worker, you could also draft an action plan for yourself. An action plan is in the form of a document where you write the details on the different steps you would take to achieve your goal. The main objective of your action plan is to set up a timetable, write down the specifications of your project, resources required or any other help you need to complete your task. But before taking this step to find your weaknesses by comparing your work with the work of your senior or person who is of a higher caliber. Break your tasks into more manageable SMART (Specific, Measurable, Attainable, Realistic and Time-based) goals and try to improve the bad performance review upon where you have been lacking. If you require training to improve your skills, you can join any part-time or a distance learning course or you can request your company for training. Many companies have policies and specially designed training programs to train their employees and upgrade their skills. Evaluate your action plan at least once in three months to find where you have reached and standard you have attained. Be clear in your objectives: Find out if you can visualize your results and outcome of your action, how you perceive and check whether you have reached your destined position? How can you draft measurable goals and the constraints you like to set limitations of time, money or the other resources? Frame the list of actions: Put down on the paper the actions you would take and the tasks you would like to see improvements. Write down all the ideas that come to your mind and try not to judge or analyze anything. Prioritize your tasks and set a standard for each task: Perceive and work on each set of task and see what is very necessary and take steps to achieve your aim. Set a standard for each task by rating the same. 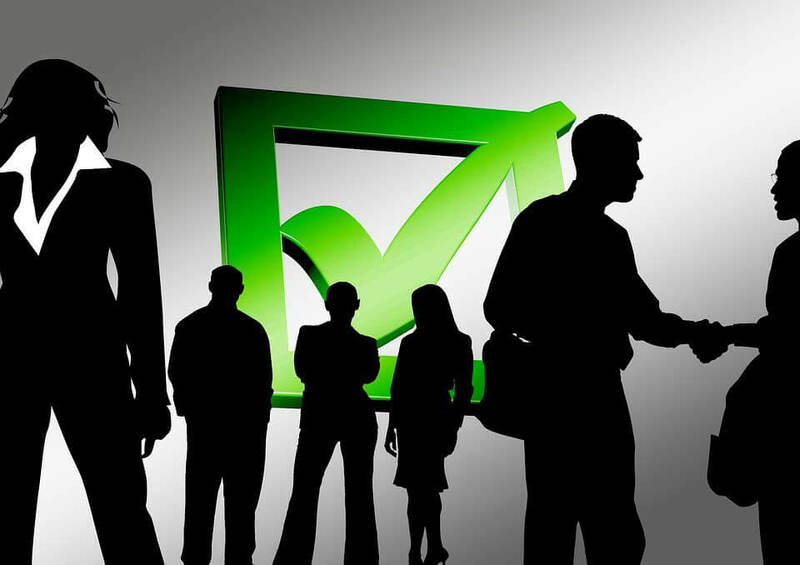 Mark the task/s which you have given the higher rating and if the same is in your higher priority list. Review all the tasks and see what actions plans can be removed from the list or if there is anything else to be added, and if there are any tasks that are required to rigorously work on. Decide the order of your actions: Decide the order on which you would like to work. Begin with the points that you have prioritized and found out if there are any other steps that need to be taken before the action. Rearrange the actions and ideas into a sequence. Finally, check your plan once again and simplify it further. Monitor and review the plan on a regular basis: Review your own plan regularly and check how you have proceeded on that plan and add any new information that you have found. Only checking your action plan once can help you to keep a track on your program and make improvements on it. Acquaint yourself with the organization’s performance review system, and compare this year’s evaluation with your previous year’s report. Collect any previous documentations or appreciations that you might have received from your clients or previous boss, like Mail of Appreciations or Thank You emails of clients as these documents will be required during your performance review system of discussion with the boss. Write down the points that you want to discuss with the boss including the points that you disagree or you feel in which you have been wrongly implicated. Your company might also have a policy whereby you can append your comments or refute your charges, make sure that you discuss the same with your HR representative. Even if you feel that you have been excellently working and you do not deserve the bad evaluation report, never show your aggression or disgust. Instead, show your boss that you have a realistic view of your performance and you can make improvements. And if you think that your performance is not up to the mark due the current system, discuss the same with your boss and try to convince him if the system is repealed you could give better results. Your efforts should be on to understand the system not as defensive but as a responsible and a dedicated employee. You have to show you are making all the efforts to understand the things and you sincerely want to improve. Since the meeting is conducted for your benefit you should be prepared to guide it in a way that meets your needs and you are assured of getting results if you start working on the same lines. Some managers will be so drawn into the process that you can easily follow their leads, and move smoothly to achieve the desired results. When the meeting is going to end, make sure you and your boss have recapped or make the summary of the conversation, and noted all the agreements that have been made by both of you. This should be done orally, as well as in a written form, and both should possess copies of the same. In case your manager does not want to do this, you can bring up the issue like “Before we finish, I want to make absolutely sure we are both on the same wavelength, so can I summarize what I think has been said?” (Source: Performance Resource Center). This may not come off easily and might take a few days. Maintain your network and find out reputed recruiters and establish ties with them. It is a good idea to share your career plan with your colleague or boss and discuss alternate solutions with them. But in case your company wanted to send you away, get a good reference that might reflect your contribution. You should always remember that you are already a skilled person and that’s why you are in this company and the company requires you. So always try to understand your companies’ goals and standing and try to come up to their expectations. You should take a negative evaluation report positively as a means to further improve your performance and achieve the goals. So think positive and act positive, and that’s only a mantra to turn the negative evaluation report into a positive report.